High Quality Volvo Bucket Teeth 20AMRE, used for digging hard surface and rock sites. 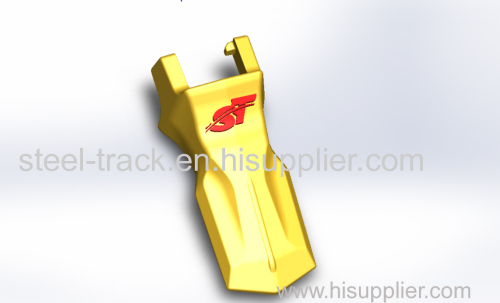 Steel Track are professional in making track shoe and bucket teeth. The technic of bucket teeth is precision casting. The quality is high. If you want to order some bucket teeth, pls send me the OEM number. I can give you the best prices. Thank you!